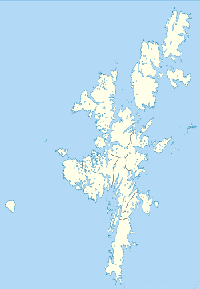 There are over 100 islands and islets in the group, 15 are inhabited, and the largest Island "Mainland" is is just over 960 sq km in size making it the 5th largest island in the UK. Shetland has been inhabited since the Mesolithic period and, it is a land of spectacular views and outstanding archaeological monuments - the brochs and prehistoric villages are among the most significant in Europe - where mysterious standing stones dot the landscape, and medieval castles at Scalloway on the mainland and Muness on Unst testify to Shetland's historic importance and ancient links to Scandinavia. Fishing, Salmon Farming and Crofting are important parts of the local economy, but the discovery of oil in the North Sea during the 1970's has brought significant extra revenue and employment to both the public and private sectors. Shetland is home to Lerwick's internationally famous "Up Helly Aa" Viking Fire Festival. This spectacular event, the largest of it's kind in Europe, contains hundreds of participants and thousands of spectators, some travelling hundreds (or even thousands) of miles just to witness it. Few realise that there are also 11 other Fire Festivals on Shetland as each of the Islands population centres has one of it's own. They normally start early morning with a parade of the "Jarl's Squad" followed by various "civic" functions throughout the day. The galleys are burned early evening before the squads set off to perform their "acts" at a number of different venues. Each Fire Festival is an almost 24 hour marathon of dancing, music, and fun, but we know how to party!. 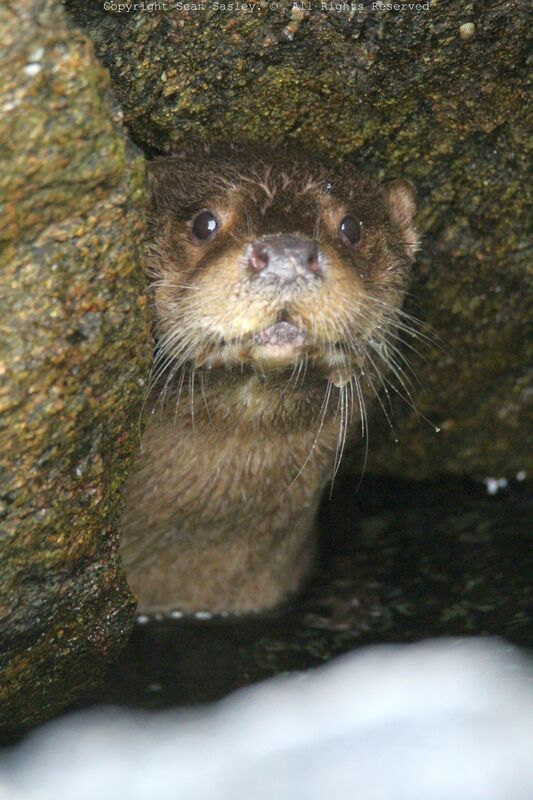 The home of the famous miniature Shetland Ponies, Shetland Sheep and Shetland Sheepdog is also home to a large variety of wildlife and over 50,000 visitors are lured to the islands each year to catch a glimpse of, amongst others, otters, seals, puffins and hundreds of other different species of wild birds. 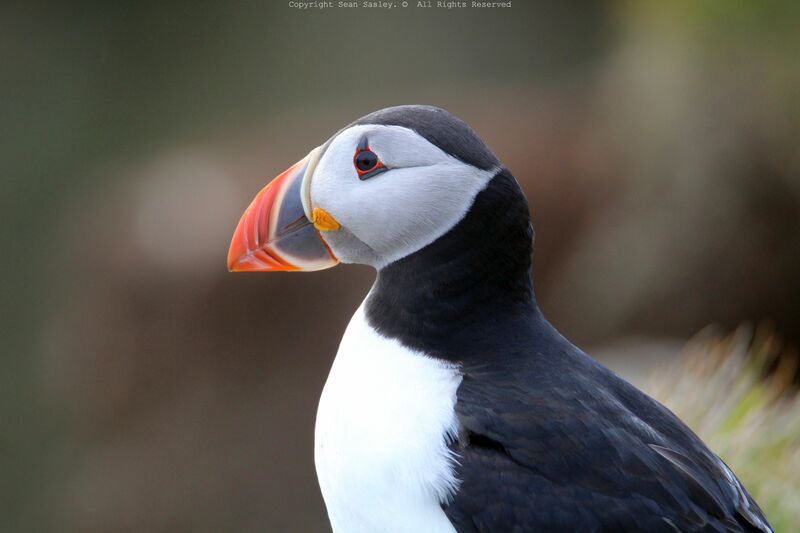 In fact, it is estimated that more that 1 million birds make Shetland their summer home with large colonies being estableshed at Hermaness National Nature Reserve, Noss National Nature Reserve and the RSPB Sumburgh Head Reserve. It's not just the unspoilt natural beauty of the islands, or the large quantity of wildlife that can be seen, we also have a very active community that is keen to share it's experiences with anyone who cares to participate, and we have a large number of events that help to achieve this. 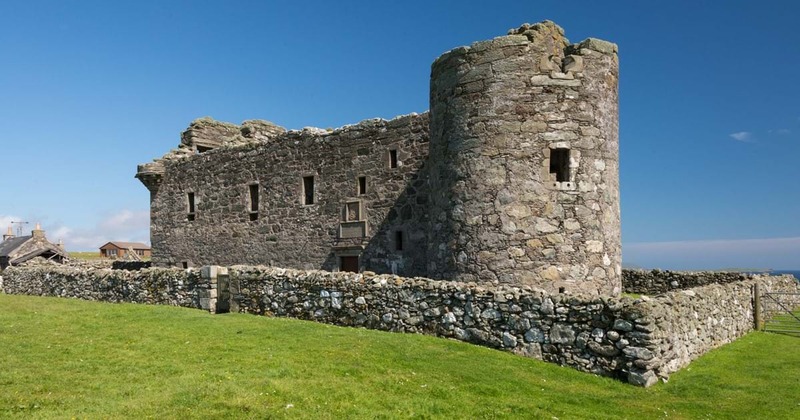 Shetland is home to many fine musicians of all ages and also hosts a number of internationally acclaimed music festivals complete with some of the best visiting musicians there are to be had. We have, amongst other events, the Shetland Folk Festival, the Shetland Accordion and Fiddle Festival, and the Shetland Fiddle Frenzy. Shetland has always welcomed tourists of all kinds. From "Backpackers" who enjoy camping at one of the many sites around the Islands through to Family Holidays in more comfortable surroundings and, as Lerwick has a very well sheltered natural deep water harbour, and Shetland has so much more to offer, we are also increasingly becoming a very popular major stopping point for visiting yachts and cruise liners. In the past year (2018), over 90 vessels carrying thousands of passengers paid us a visit, and 2019 is already promising well in excess of 100 vessels (and many more visitors) who have added us to their itinery. People might surprised by the large variety of plants that grow and thrive on Shetland. In fact, we have some very rare examples and one in particular that is unique to Shetland (Edmondston's Chickweed) and which grows nowhere else in the world. 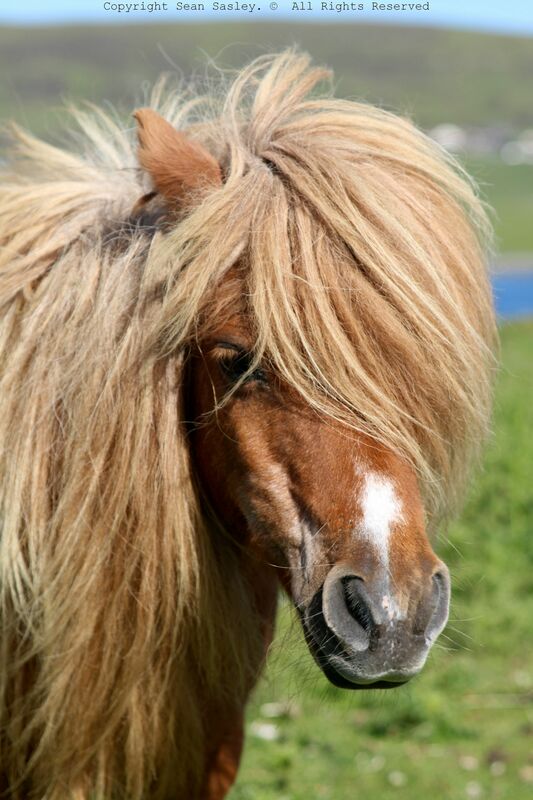 The Shetland.org website has an excellent web page that describes everything you might want to see. Please note that is an offense to pick wild flowers/plants without permission. Just photograph them please. 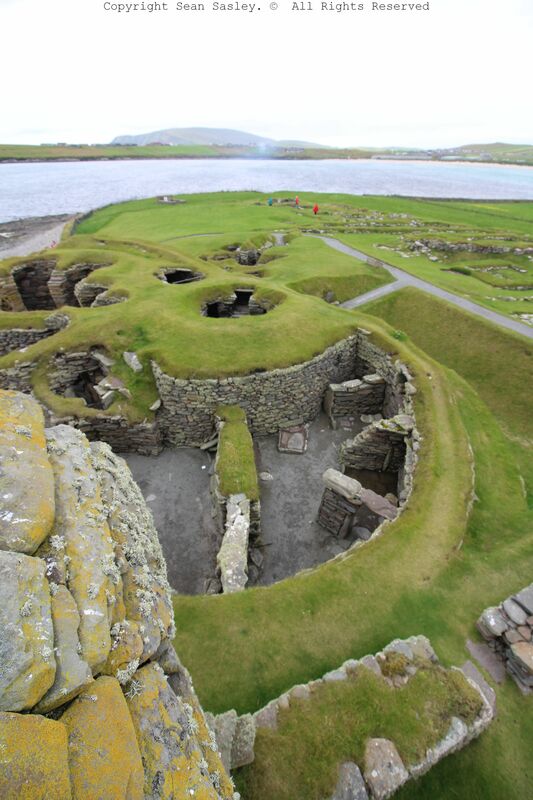 Shetland has been inhabited for more than 4000 years and has some of the best archeology to be found anywhere. There are remains of more than 5000 sites scattered all over the Islands, and some are really well preserved. Broze Age, Iron Age, Viking, Medieval, take your pick. In 2009, Shetland was awarded membership of the European Geoparks Network and, as well as those in search of peace and solitude, the pristine natural environment and unusual land formations also entice students of geology who wish to investigate our rocks and landscape which contain almost 3 billion years of Earth's history. 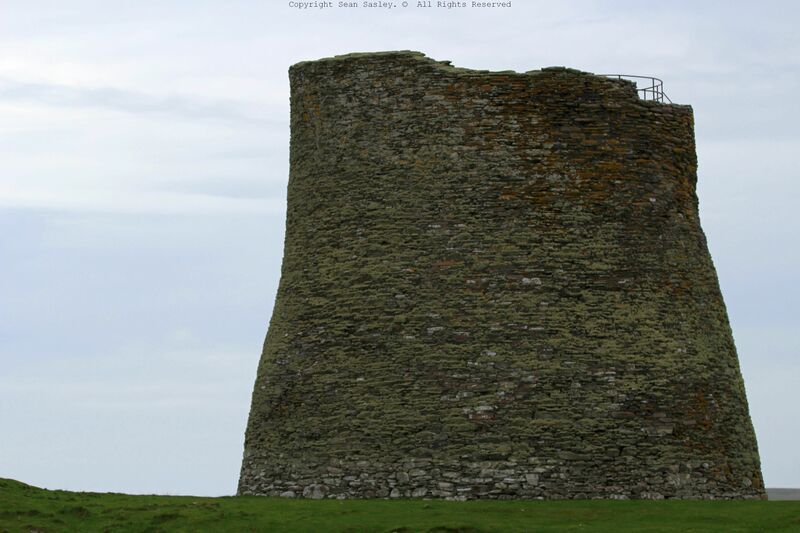 Try a visit to Shetland Amenity Trusts' excellent website for more information. 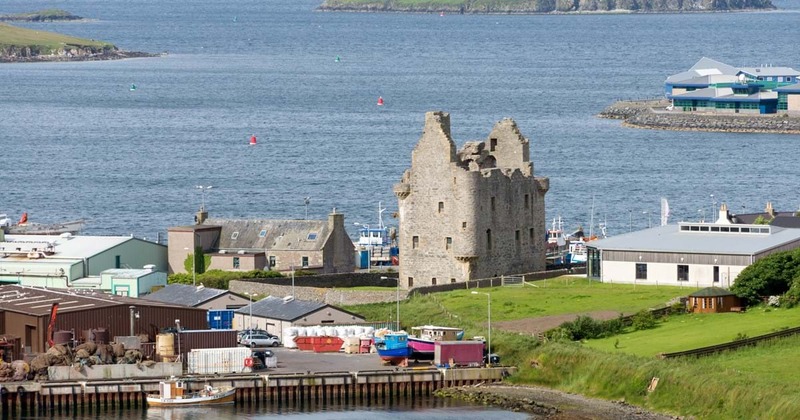 From wild isolation on the remoter islands to the friendly, bustling warmth of the attractive main town of Lerwick, Shetland holds a seductive fascination which will draw you back again and again.